Thank you for visiting. Looking forward to spring! Minnesota Landscapes provides high-quality residential landscape services. Our services include custom design and installation of patios, walls, perennial gardens, water features, rain gardens and low voltage LED lighting. 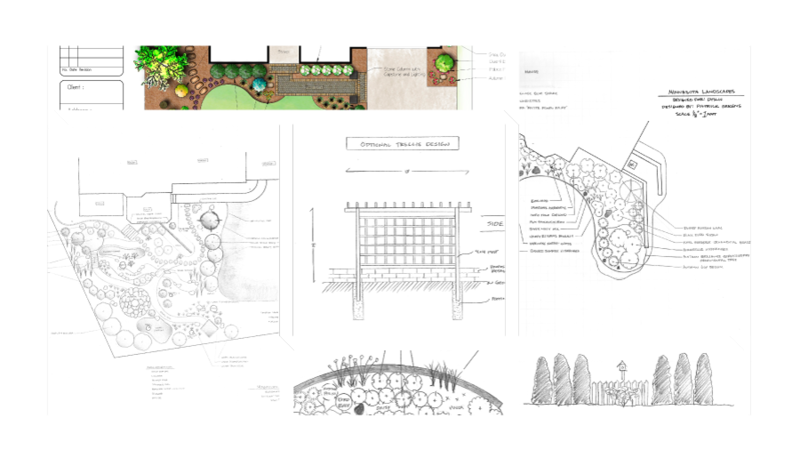 We will develop a landscape design & provide a cost estimate for the installation of the design. Our team will review and finalize the design plan and estimate. We want to be sure everything is to your exact preference! 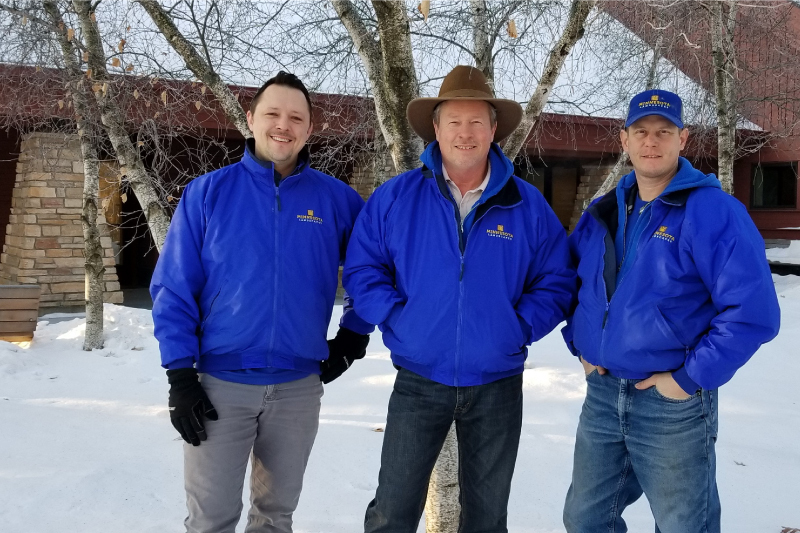 Minnesota Landscapes will professionally install the landscape design—bringing it to reality. From Concept to Delivery, We listen to your feedback! Check out some of our work! Lots of variety with our designs. Since Minnesota Landscapes began 22 years ago, one of the things we cherish is our culture. We’ve always stressed an attitude of heartfelt interest, excellence in service, and strong meaningful communication. Our efforts focus on creating a welcoming environment for your home along with a great experience from start to finish. 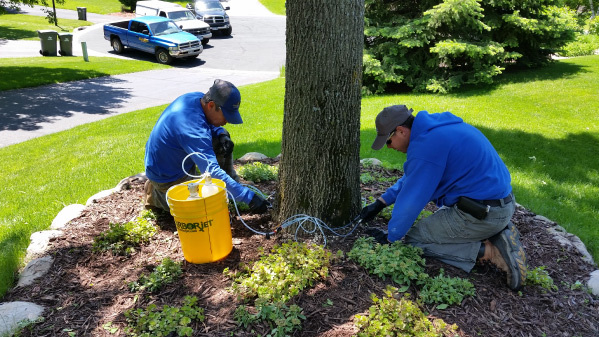 Installing and maintaining landscapes is much more than moving dirt and installing plants. We see it as an opportunity to develop a lifelong relationship with you and our community. Our team of employees have an average of 15 years of employment with us. We spend long hours each year learning new trends, continuing education opportunities, and striving to maintain our high professional standards. Our company is fun. We believe this translates to an even more enjoyable experience for you when you meet them. We hope to meet you soon. Thank you for considering Minnesota Landscapes! 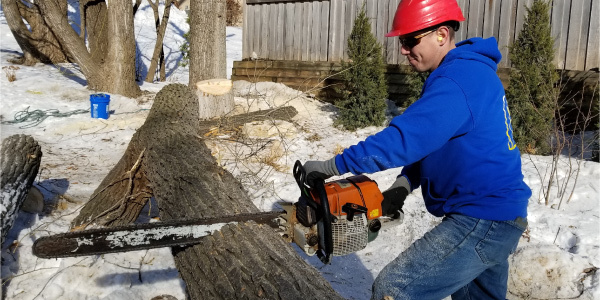 Rick started Minnesota Landscapes in 1996 as a tree and shrub care company. Within 3 years he grew the business into a full service landscape company. 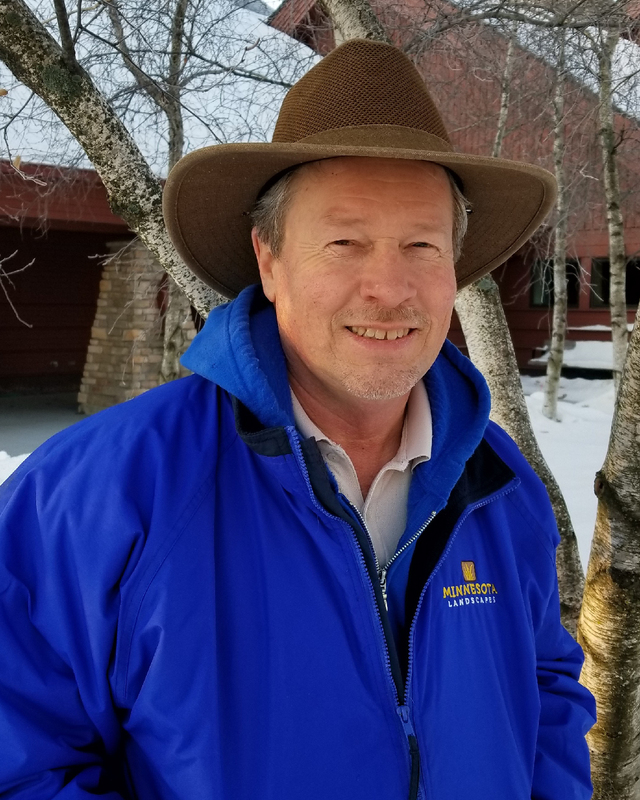 As a former Master Gardener and Certified Arborist, Rick loves everything growing in landscapes. He enjoys hiking, spending time with family and being involved with his church community. 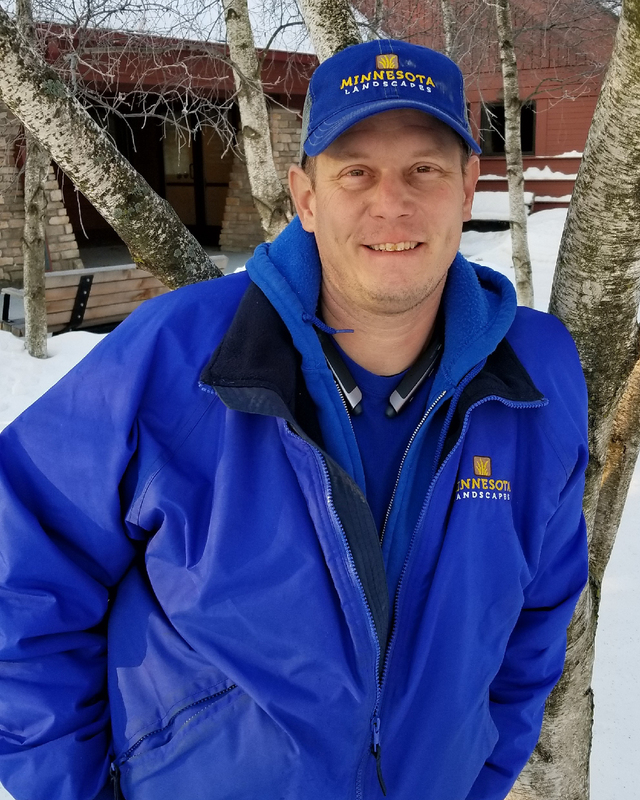 Rick has been an integral part of Minnesota Landscapes since joining the company back in 1997. He helps manage the day to day operations and keeping the company current on industry standards and trends. Rick’s certifications include ISA, ICPI, PLT and Pesticide Applicator. In his free time he enjoys running, reading and spending time with his wife and daughter especially during their annual summer trip. 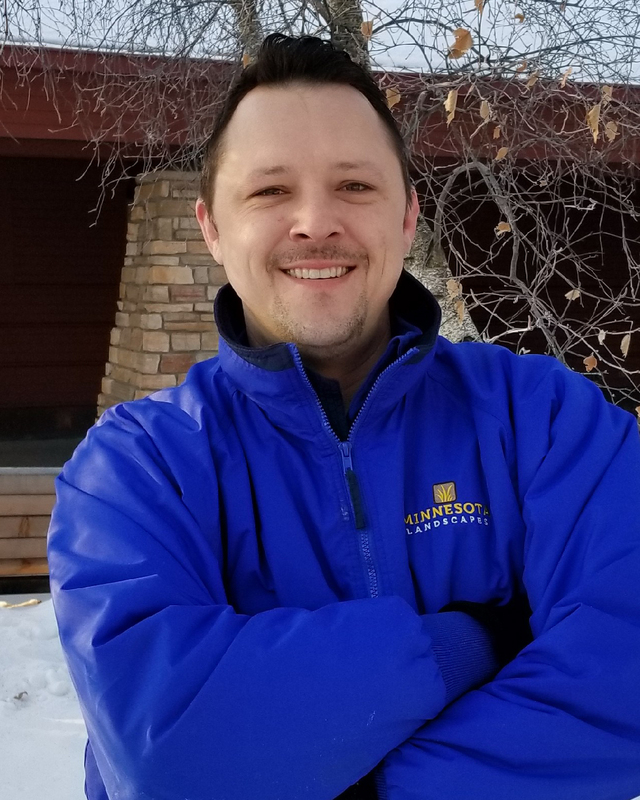 Patrick has been a professional landscape designer and project manager with Minnesota Landscapes since 2009. His specialty is designing hardscapes and assisting the homeowner to realize the potential for their outdoor living space. When Patrick’s not working he enjoys mountain biking, cooking and spending time outdoors with his wife and two kids. Lora joined Minnesota Landscapes last year as our Office Administrator. She is a key part of the inner workings of the company and keeps us organized and running smoothly! 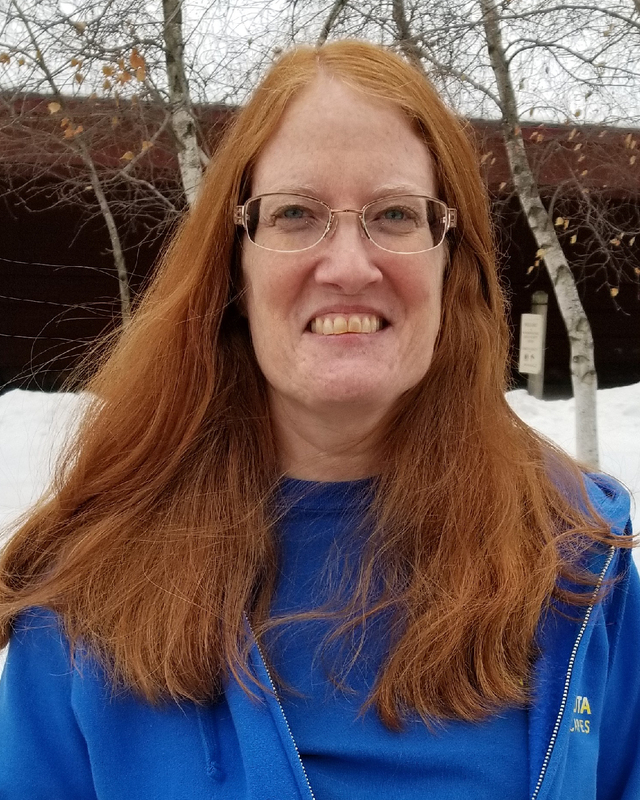 When Lora is not working she enjoys visiting her 2 grown children, traveling with her husband, crocheting, creating essential oil gifts and volunteering at church. 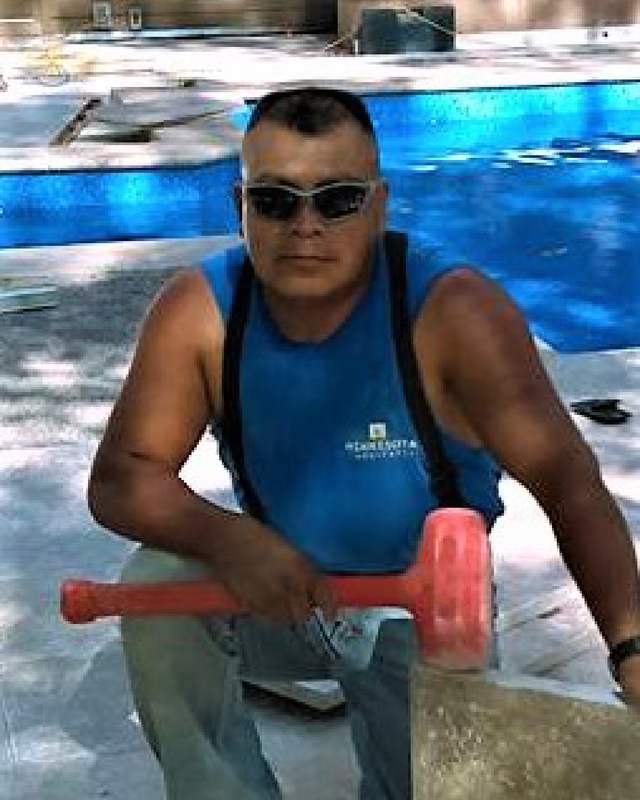 Jose has been installing quality landscapes with us since 2008. He has a passion for hard work, precision and attention to detail. Family is an important part of his life and enjoys traveling with them in the winter in California and Mexico. Start now to save our trees! Start now to save your trees!